Joji: Thank you for contacting Microsoft Band Support! My name is Joji and I'm glad to work with you today. Please allow me a moment to review your concern. Joji: I'm sorry to hear about that. I hope it hasn't been too frustrating for you. I feel the urgency to resolve this issue. I too would love to get your back in using the device properly and get this resolved as soon as possible. Joji: We value you time and we understand how important it is to be able to use the device. Don’t worry I’ll help you walk through this. I have your back covered. Joji: Now, here's the thing. 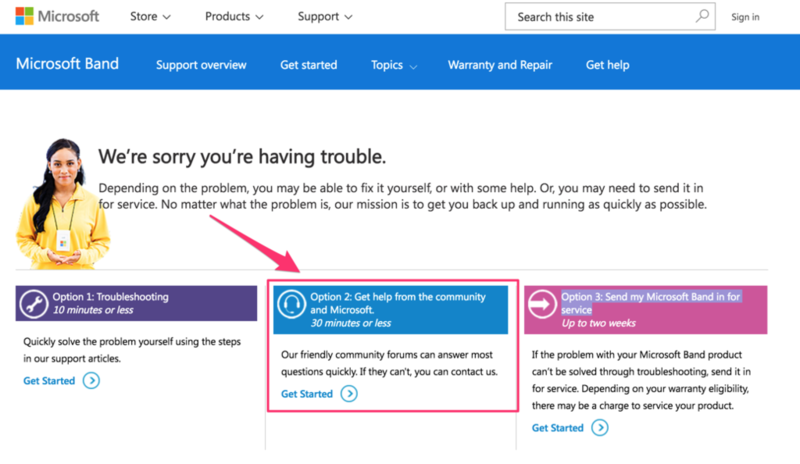 Since, the buttons of the device are unresponsive, what we can do right now for your convenience is I can go ahead process a replacement ticket for your Microsoft Band, we will be sending you all the instructions how to send the device to our service center. Joji: Basically, here's what's going to happen: we'll be sending you two emails with the order details and the shipping label. Please send your Band and its charging cable to our service center. They will review your Band and pretest the replacement once it passes. You will receive your replacement 8-10 business days after the Band is received by our service center. Joji: I can see it here that you are from Tokyo, right? Joji: I see. 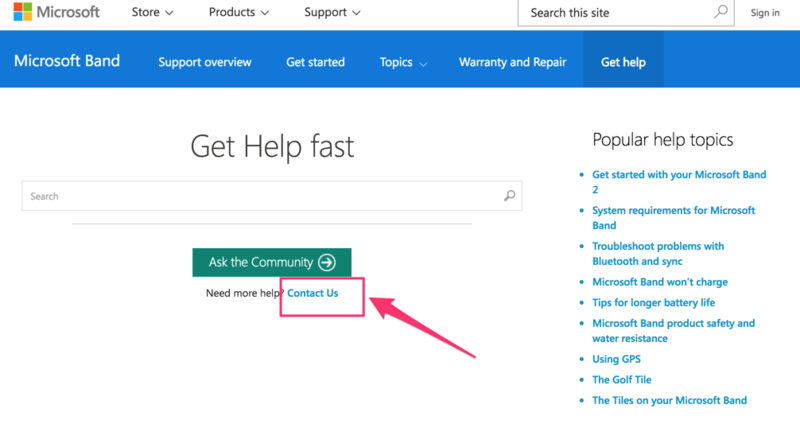 May I know where have you purchased the Microsoft band 2? Joji: I see. Thank you for the information, Masaki. As much as I would like to set up a replacement for you, I'm afraid to tell you replacement offers are currently only available in launch countries such as US and UK. Joji: However, I'm happy to tell you that we have a workaround for this. Joji: We may be able to set up a replacement through a middleman. You just need to send your Band to a friend or relative in the US or UK and have them set up the replacement order on your behalf. Joji: Good question. Yes, you may actually go to the Microsoft Store and have it possibly replaced. However, we can't give a full guarantee that it will be replaced immediately since it will depends on the availability of the device. 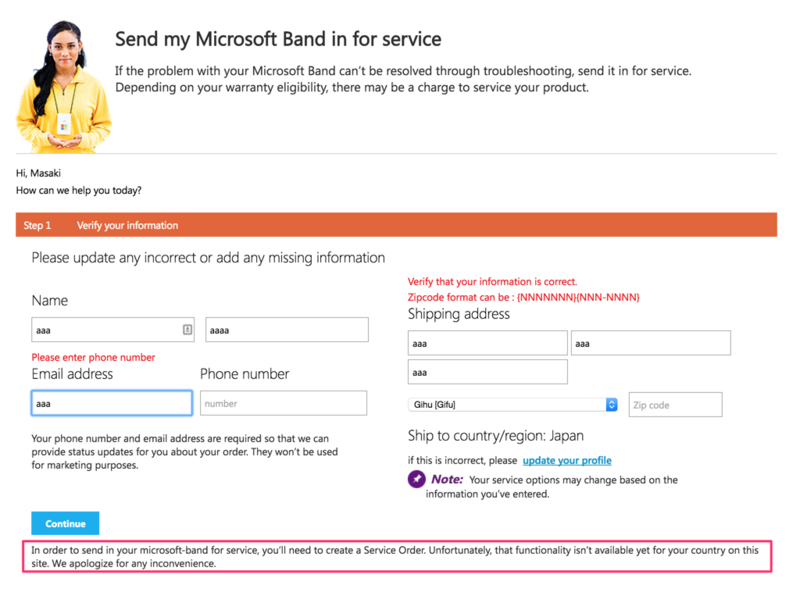 Joji: What we can suggest right now is that, might as well contact the MS Store first and ask if they have an available stock for Microsoft Band 2. Joji: Great! To ensure that we have covered all concerns today, I would like to briefly provide a recap for our chat session. 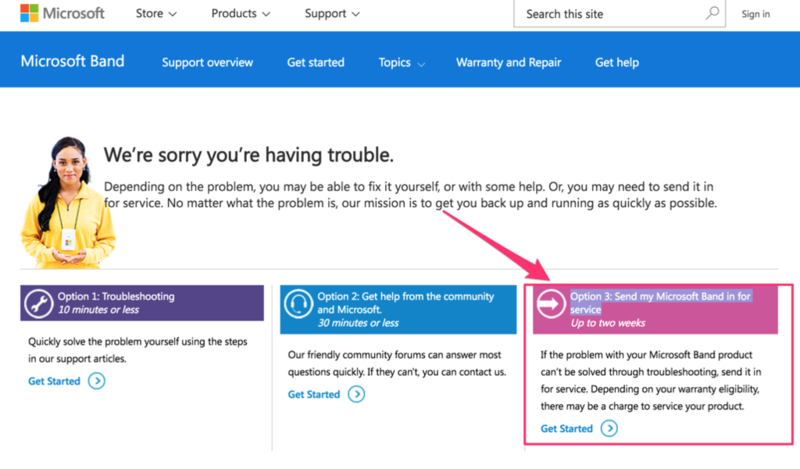 You contacted us because you are experiencing an issue with your band wherein the buttons are unresponsive and with your enthusiastic participation we resolve it by having it replaced in the Microsoft Store.